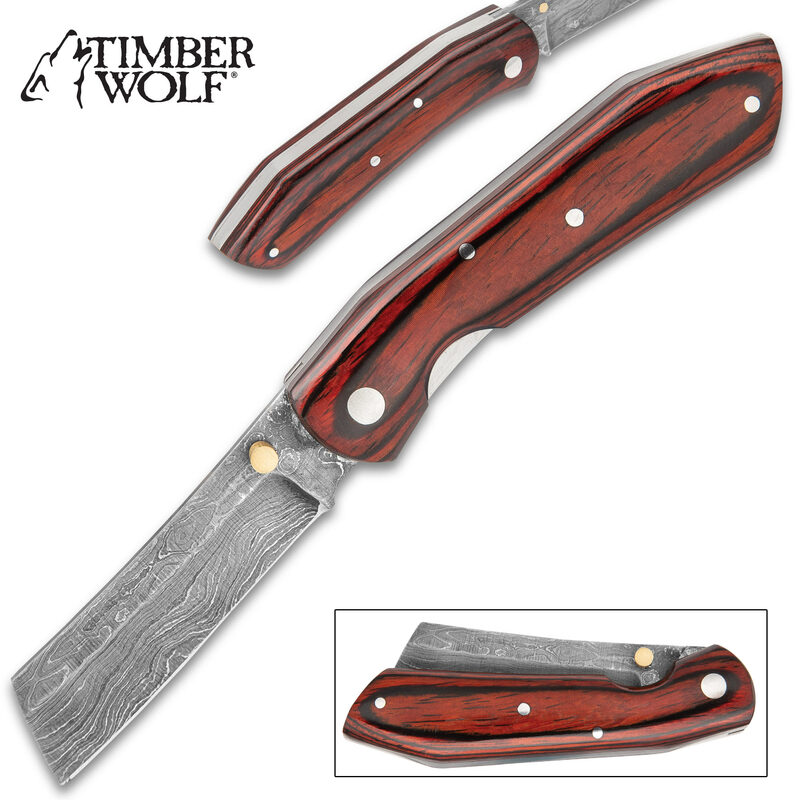 Timber Wolf Hunter Pocket Razor Knife - Damascus Steel Blade, Brass Thumbstud, Wooden Handle Scales, Stainless Steel Liners | BUDK.com - Knives & Swords At The Lowest Prices! 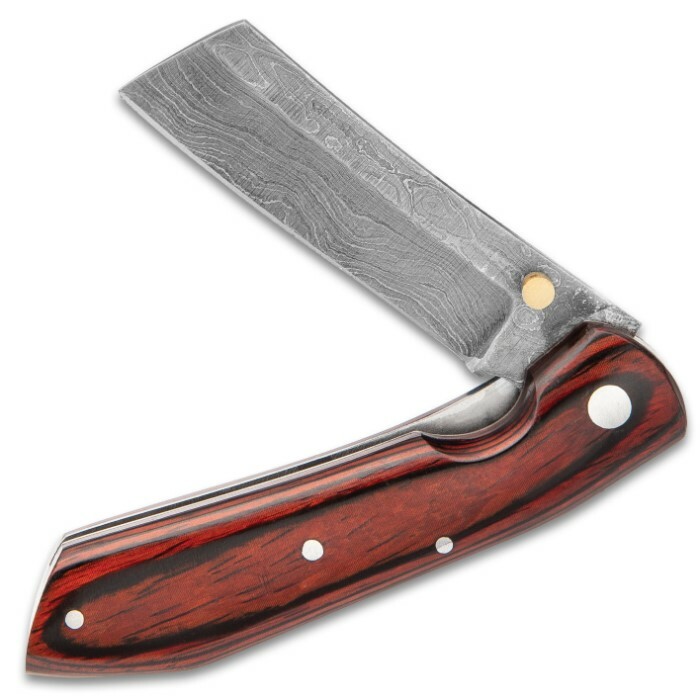 The Hunter Pocket Razor Knife by Timber Wolf has a great classic and traditional look, making it seem like an heirloom that has been passed down. The vintage-looking knife has a sharp, 3” Damascus steel razor-style blade with a brass thumbstud to smoothly deploy the manual opening. 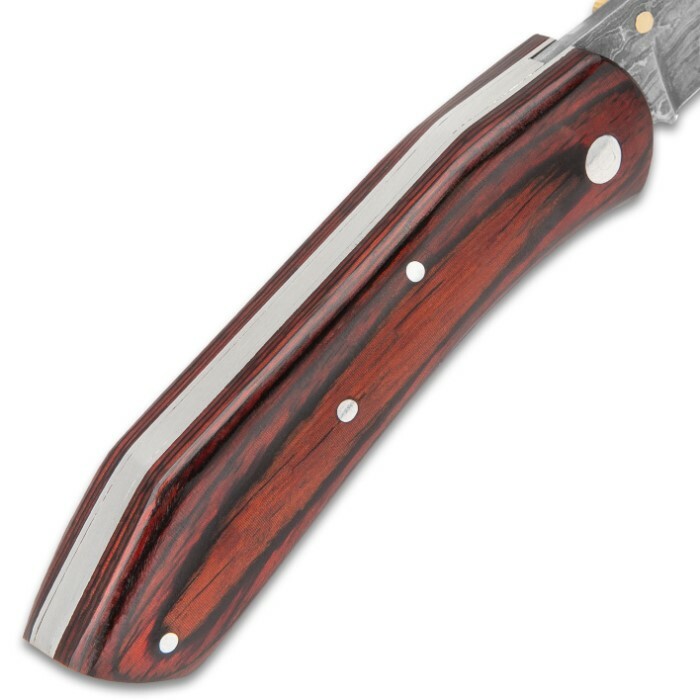 The glossy and smooth handle scales are of a reddish-brown wood and are secured with stainless steel pins to the handle. 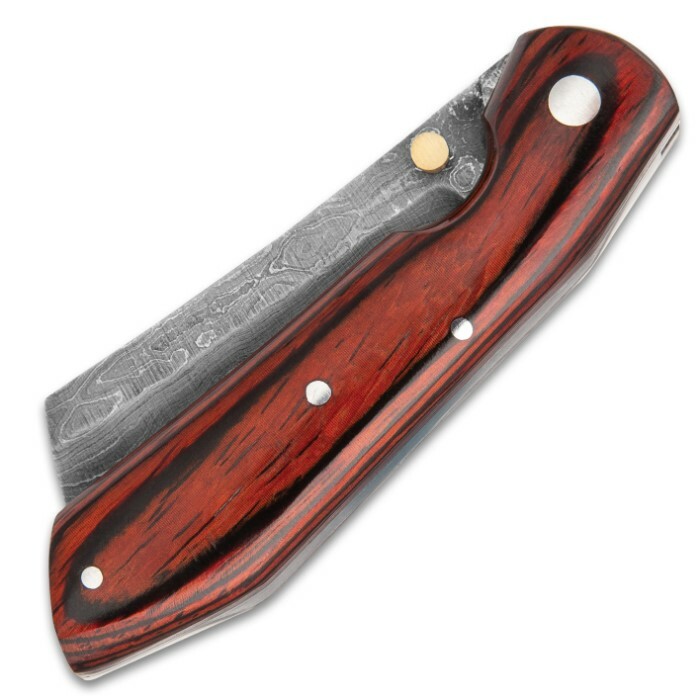 The hefty pocket knife is 4” when closed, and locks securely into place to an overall length of 7 1/4”, when open.